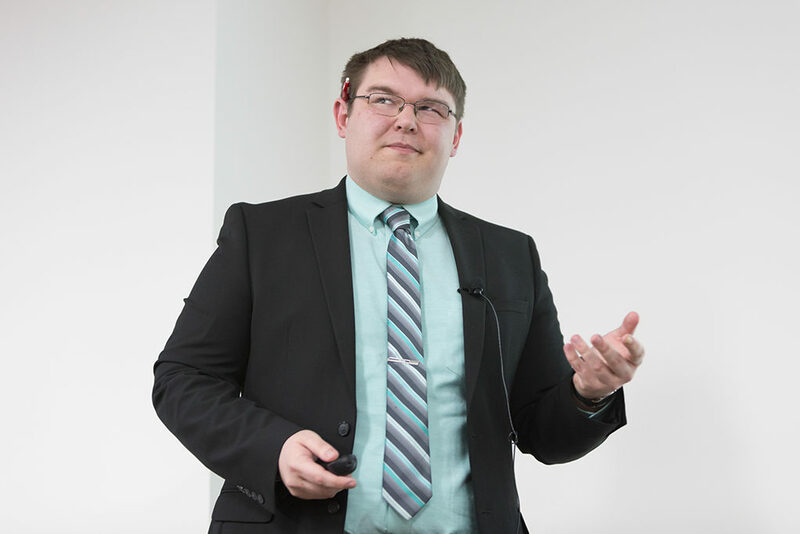 Kyle Wayner, first-year PharmD student, presents his business idea to a panel of alumni at the 'shark tank' event. That was the opening line of first-year PharmD student Kyle Wayner’s business pitch to a panel of potential investors at the University of Wisconsin–Madison School of Pharmacy’s first SHARx Tank, which is the culmination of a semester of work and discussion between students, faculty, and an engaged, business-minded alumnus, George Zorich (BS ’78), CEO of ZEDpharma. Wayner’s pitch was referring to the rampant abuse of dextromethorphan, a common cough medicine ingredient. His prescription for a fix: Toxic Overload, a game to educate middle- and high-school students about the hazards of abusing cough medicine, as well as other over-the-counter medications and their potentially destructive interactions. 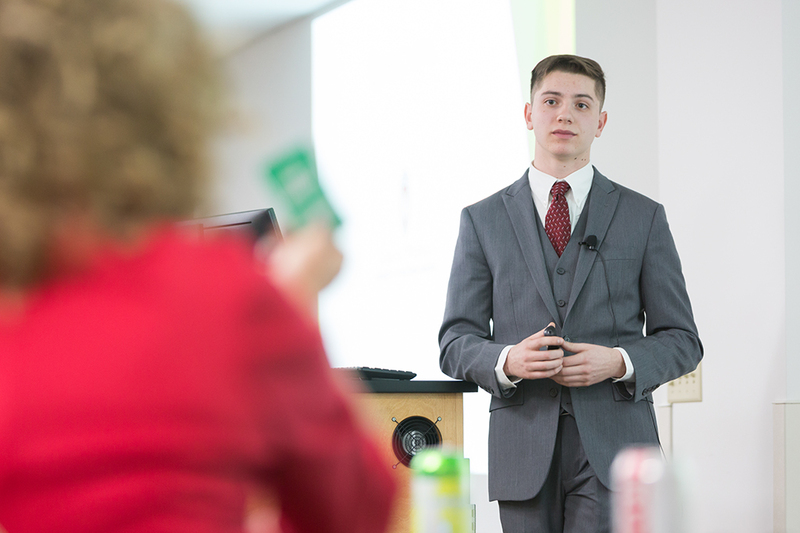 Wayner, with proposed company Rx Games, was just one of five PharmD student groups to present their entrepreneurial ideas for a chance at winning a $4,000 scholarship for first place, or $1,000 for second place—money invested by Zorich himself. “I want the students to know that there are rewards for ideas,” says Zorich, who also previously served on the School’s Board of Visitors. This co-curricular entrepreneurial student group is one way Zorich and School of Pharmacy faculty hope to introduce student pharmacists to what’s possible through innovation and creative thinking, and how to make their ideas into reality. “I think entrepreneurship is where our roots are as pharmacists,” says Beth Martin, assistant dean for Assessment, Teaching, and Learning and associate professor in the Pharmacy Practice Division. The entrepreneurship group and “shark tank” idea came out of discussions between Zorich, Martin, and other School of Pharmacy faculty members, including Dean Steve Swanson; Dave Mott, division chair and professor of the Social and Administrative Sciences Division; and Barry Gidal, division chair and professor of the Pharmacy Practice Division. Kyle Wayner, who took first place, and Griffin Budde and Dean Bowen, who took second place, with George Zorich, CEO of ZEDPharma. Aside from this entrepreneur group, PharmD students also get to practice entrepreneurship skills in a communication course where students work in teams to help a pharmacy innovate something or overcome a barrier around communication or workflow issues, and they learn the process of how that’s done. The Industry Pharmacists Organization (IPhO) student chapter at the School of Pharmacy, which recently participated in a national competition to design a drug launch, is yet another way for students to nourish their entrepreneurial spirits. Zorich served on the board of the American Society of Health-System Pharmacists (ASHP) Foundation for six years, and during that time, he identified a widespread need for nurturing key skills that move pharmacy forward. 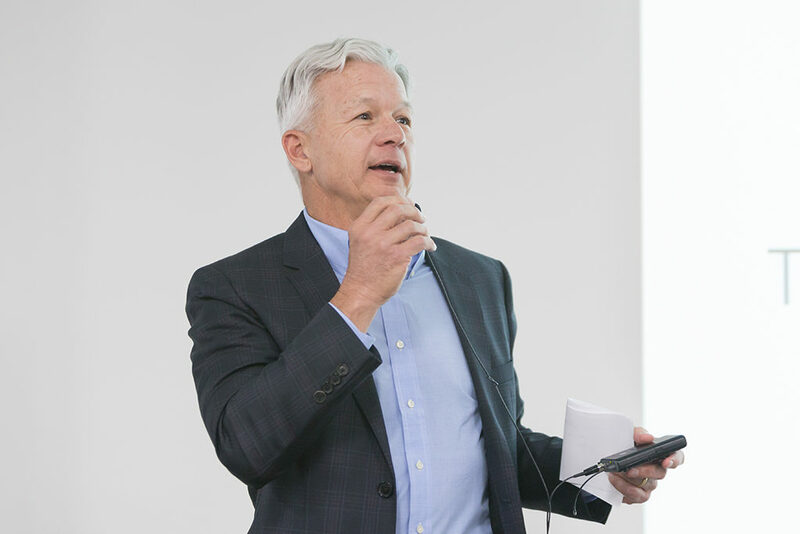 “On a national level, I don’t think we’re doing enough as a profession to get better at communication skills, persuasion skills, entrepreneurial skills,” he says. And that need trickles down to where pharmacists are getting their start. With his 35 years of experience running pharmaceutical companies, Zorich considered the new ACPE curriculum requirements and what he’d seen on a national level at the ASHP Foundation, and simply volunteered to make a difference in the education of pharmacy students, starting at his alma mater. Zorich took it upon himself to write a book, Entrepreneurs in Pharmacy and Other Leaders, that profiles pharmacists who have successfully started a business or stepped into a nontraditional role, including other UW–Madison School of Pharmacy alumni, such as Curt Mueller, the founder of Mueller Sports Medicine. “Students need to hear those stories,” says Zorich. “Thanks to George, we had the book as a tool,” says Martin. 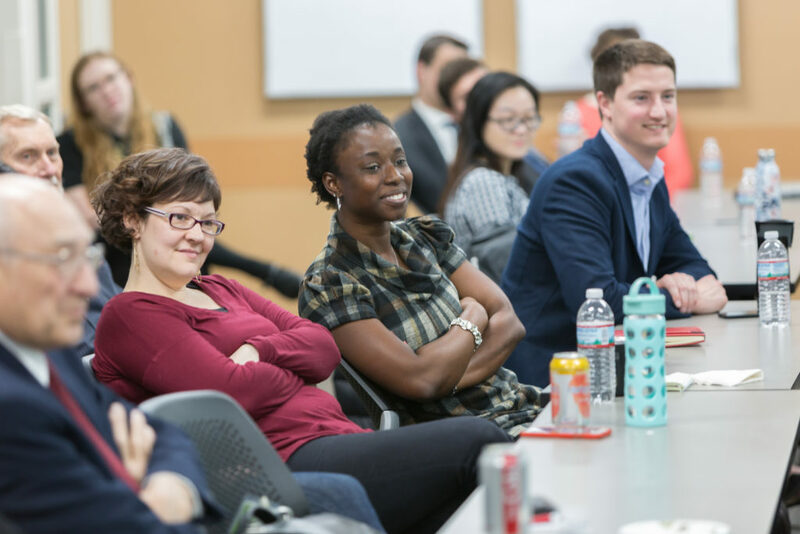 “But the next challenge was how to make it into something substantive for our students.” So they reached out to all UW–Madison School of Pharmacy PharmD students to see if they had ideas they wanted to explore as part of an informal group, led by Mott, Martin, and Zorich. The catch: It would meet five times throughout the spring 2018 semester—on late Friday afternoons. Just eight brave, entrepreneurial souls emerged for the first meeting. Trinh was joined by Wayner and second-year PharmD students Dean Bowen, Griffin Budde, Bernard Brooks, Gregory Norsten, Dakota Rau, and Michael Heltne. 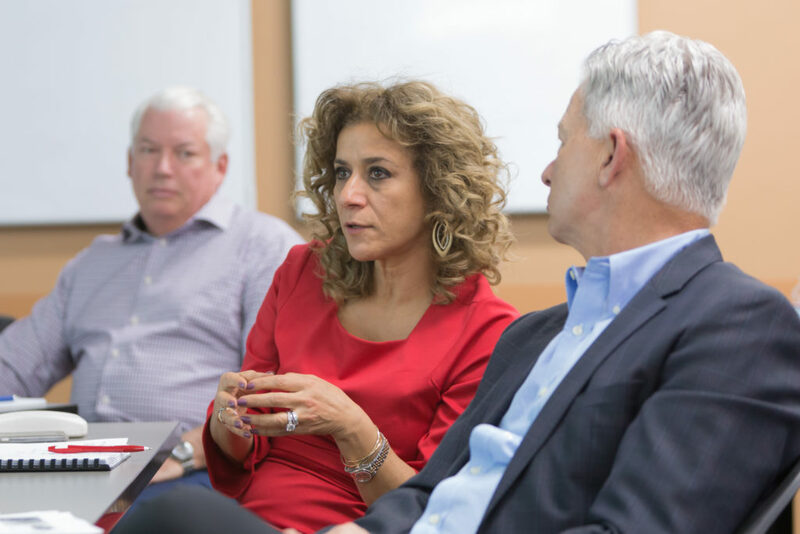 Alumni leaders Dan Luce of Walgreens, Azita Saleki-Gerhardt of AbbVie, and George Zorich of ZEDPharma on the SHARx Tank judges panel. 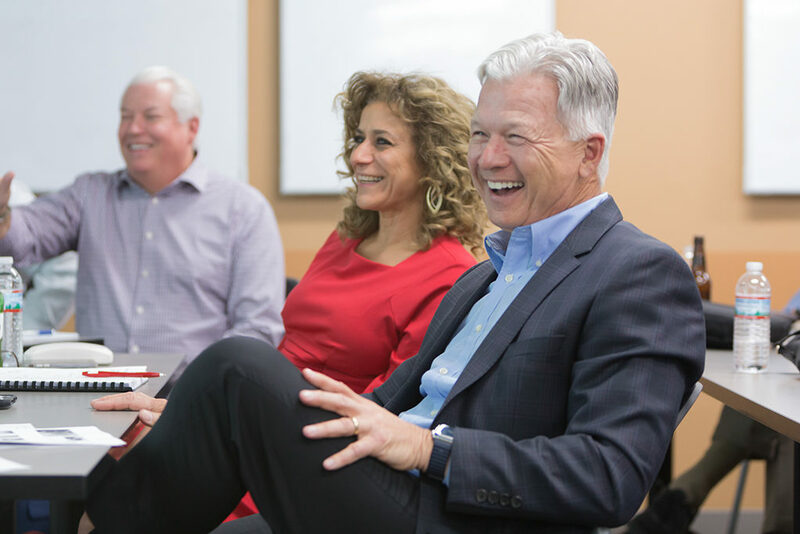 Through the semester’s five meetings, those eight participants sharpened, scrapped, and revised their ideas to be relevant in today’s pharmacy landscape, relying on the expertise of Mott, Martin, and Zorich, as well as the feedback of their fellow students. “The students in this group are developing an idea—a solution to a health care problem—and have been working through the semester on it, bouncing ideas off of us, and getting examples of entrepreneurial leaders profiled in my book, some of whom are UW–Madison School of Pharmacy graduates,” says Zorich. 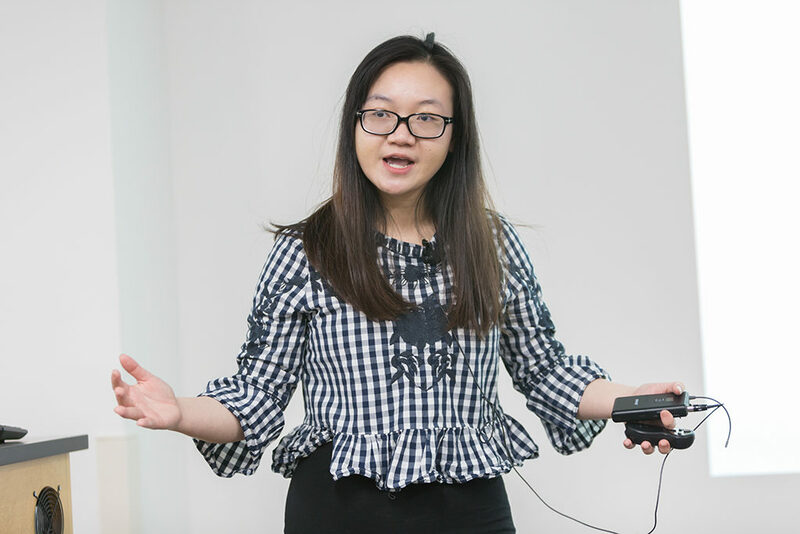 The eight students broke into five teams, and at the end of the spring semester, leapt into the SHARx Tank to see if their ideas could get a bite. The “investors” in this scenario included School of Pharmacy Dean Steve Swanson and successful, business-savvy alumni of the School: Azita Saleki-Gerhardt (BS ’88, MS ’91, PhD ’93), president of operations for AbbVie, one of the largest pharmaceutical companies; Dan Luce (BS ’81), national director of pharmacy affairs at Walgreens; David Hager (PharmD ’05), director of clinical pharmacy services for UW Health; as well as Zorich, who has spent the last 25 years building and selling health care firms. “It was intimidating to say the least,” says Budde, who, with Bowen, presented an idea for a medication therapy management service to help people in long-term care facilities reduce unnecessary or redundant prescriptions. Following each presentation, the industry-seasoned alumni asked pointed questions about how the students would differentiate themselves from competitors, navigate potential legal hurdles, and how their ideas would translate into profits. When all was said and done, the panel took a vote: Budde and Bowen took second place, and Wayner took home the top prize. 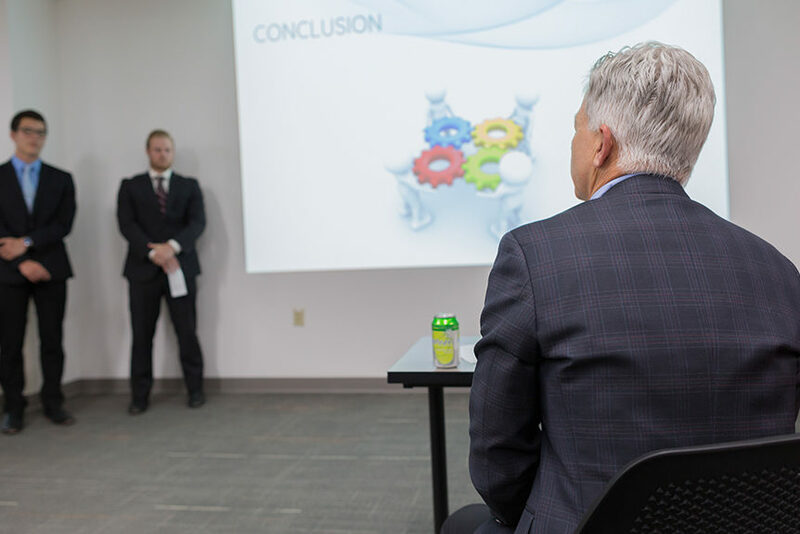 Despite struggling to answer detailed questions from industry professionals with only one to two years of pharmacy school under their belt, the PharmD students not only survived—but they also managed to impress their esteemed judges. That blend of personal interest and professional expertise to solve problems is precisely what Zorich is hoping to instill in pharmacy students. 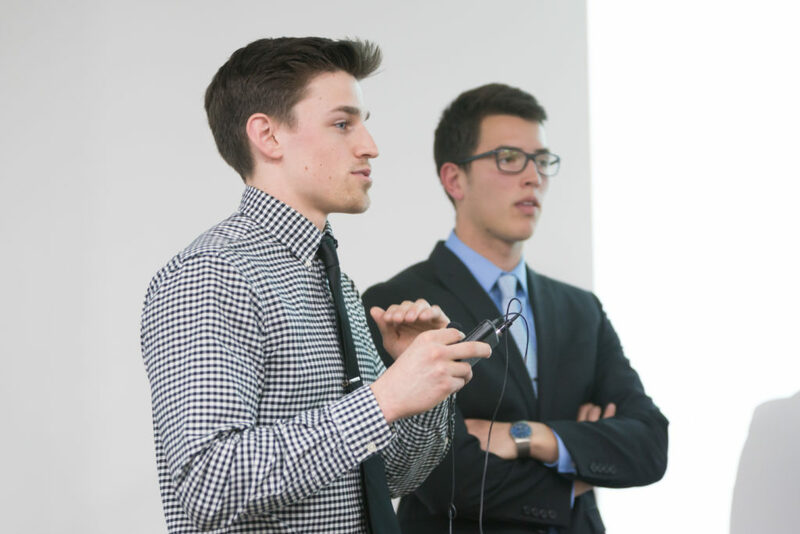 By making this entrepreneurship group open to PharmD students at every level, Martin and Zorich are hoping to plant the seed early, spurring curiosity and prompting students to ask why things are done a certain way, instead of just going along with the status quo. “I want students to ask, ‘Can we do this differently? How can pharmacy be a part of this? How can I use my skills and expertise to make a difference?’ I would hope every pharmacist would have that mindset,” says Martin. 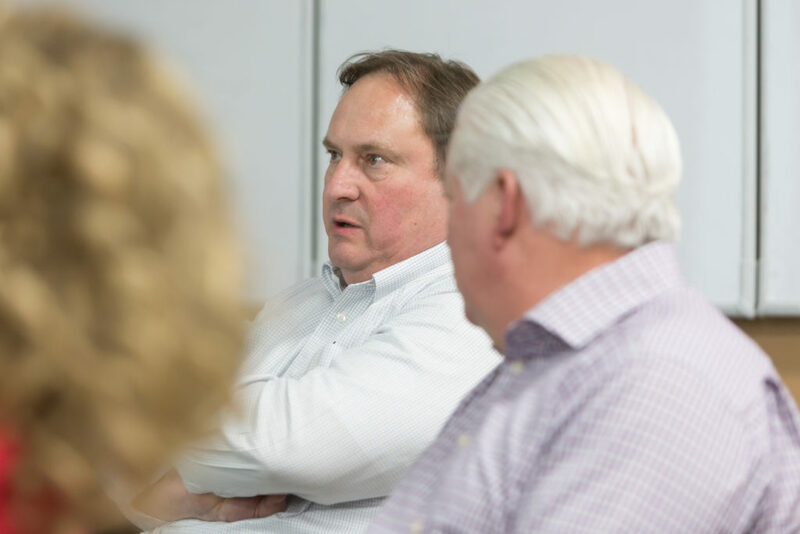 Among the stories of other successful alumni and pharmacy leaders, Zorich also shared his own nontraditional career path with the students in the entrepreneur group, to show them the value of thinking outside of the box. Griffin Budde and Dean Bowen, both second-year PharmD students, presenting at the SHARx Tank. He plans to share the results of the School of Pharmacy’s entrepreneurship program at the 2019 American Pharmacists Association meeting and discuss it with pharmacy educators to expand this type of program across the country. 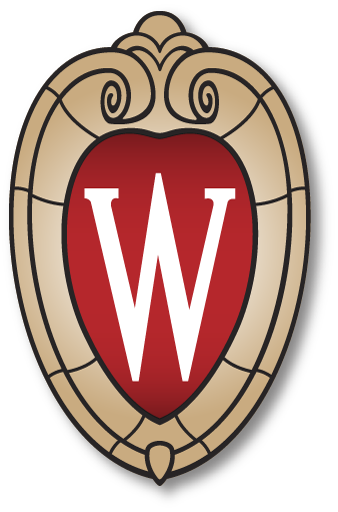 In fall 2018, the entrepreneur group at the UW–Madison School of Pharmacy will be back, but it might be in a slightly different form. If other alumni want to jump in and sponsor student scholarships from year to year, that could be one way to keep the program sustainable with a real buy-in for students, says Martin. Read more about George Zorich’s book, Entrepreneurs in Pharmacy and Other Leaders. Learn more about the School of Pharmacy’s PharmD program.